The Steinle family had named the city of San Francisco, the San Francisco sheriff, BLM and ICE in a wrongful death suit. 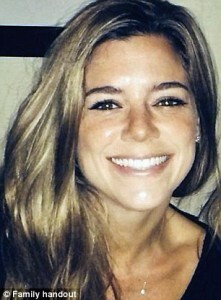 On July 1, 2015, Steinle, 32, was walking with her father along Pier 14 in San Francisco when she was shot in the back and killed. The gun used in the shooting was a service weapon that belonged to a BLM ranger. Juan Francisco Lopez-Sanchez, a seven-time felon who has been deported to Mexico five times, is accused of murdering Steinle. Lopez-Sanchez has admitted to firing the shot that killed Steinle, though he claims he did so by accident. In March 2015, Lopez-Sanchez was transported from ICE custody to the San Francisco jail on 20-year-old drug charges. Prosecutors then dropped the charges, and the San Francisco Sheriff’s Department released Lopez-Sanchez, despite receiving a detainer request from ICE. San Francisco is a sanctuary city with a policy of not turning over inmates to ICE. Also in March 2015, Sheriff Ross Mirkarimi issued a memo barring jail staff from communicating with immigration officials about detainer requests. In its lawsuit, the Steinle family alleged Mirkarimi violated federal laws by issuing the memo. But, United States District Court Judge Joseph Spero ruled Mirkarimi did not violate state or federal laws by doing so. Spero also ruled neither the sheriff’s department, nor ICE mishandled custody arrangements for Lopez-Sanchez. However, the judge also stated in his ruling that the federal government was negligent in the Steinle killing because of the actions of the BLM officer. The officer left a loaded gun in a backpack on the seat of an unattended vehicle in San Francisco. That created foreseeable risk, Spero wrote. “The BLM ranger therefore had a duty to better secure his handgun against theft,” the Spero stated. We’re the government…we’re here to help.